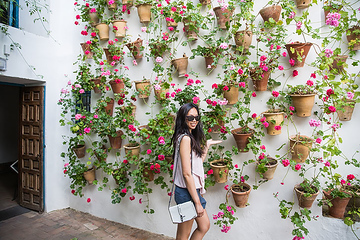 Patios de Cordoba: Spain's Prettiest Flower Festival! 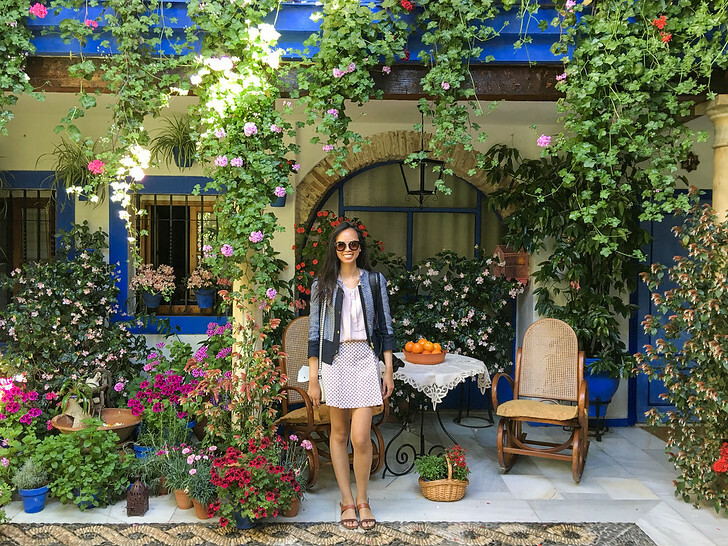 Patios de Cordoba: Spain’s Prettiest Flower Festival! 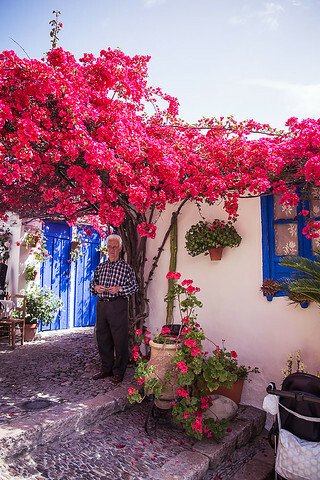 During this month, the town residents compete in the Andalusian version of the All-England Best-Kept Lawn competition and throw open their inner courtyards to judge whose flower bedecked patio is the most beautiful. 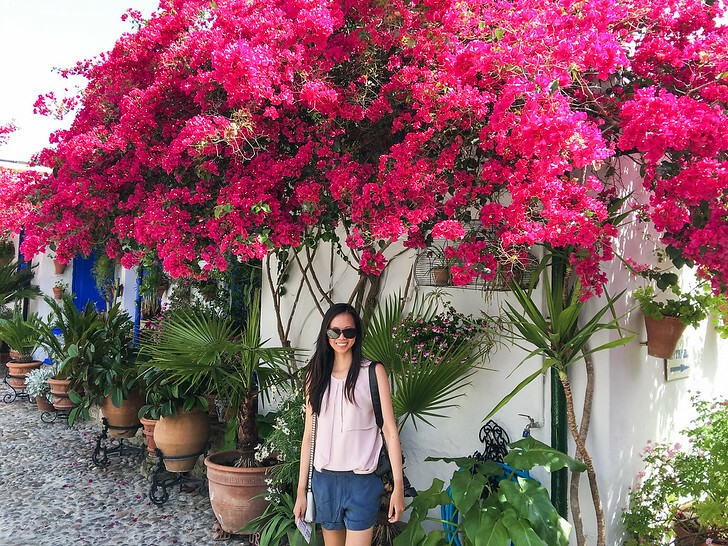 Originally, I had planned to visit Spain at the end of May/early June but once I saw how beautiful the Cordoba Flower Festival was, I knew I had to shift everything to make sure I could be there in time! 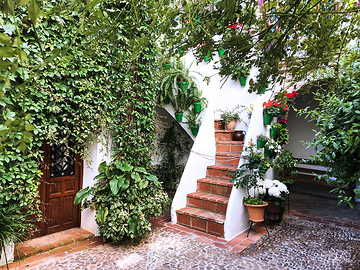 Eurostars Palace Hotel – this hotel has a gorgeous inner courtyard and gives travelers a true feel for Cordoba’s courtyards, which are usually hidden to outsiders except during the festival. Cordoba was first a Roman than a Moorish city and its local architecture was heavily influenced by each. 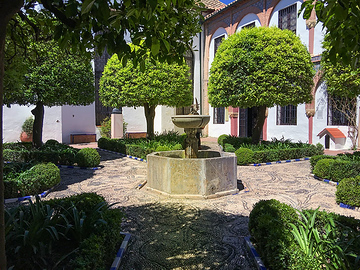 Homes were designed around a central courtyard (patio in Spanish) with a fountain in the middle to collect rainwater and shield against the heat in ancient Roman times. 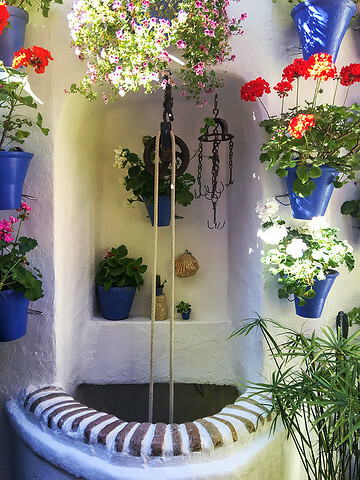 When the Moors conquered Andalusia, the Muslims added an entrance from the patio to the main street and began the practice of adding flower pots to the walls to provide cooling and a sense of beauty. 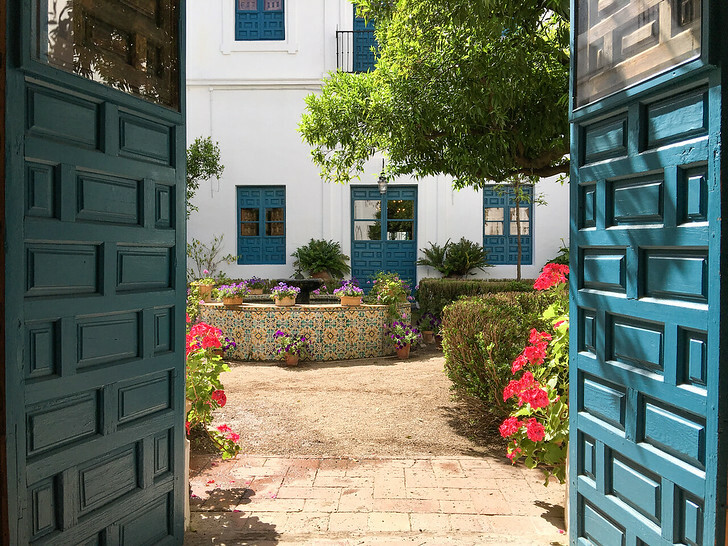 There are two main types of courtyards – the more common is a smaller courtyard belonging to a single family, whose rooms surround the patio on all sides. The second, is a larger communal space called a neighbors house (casa de vecinos) where multiple homes surround the courtyard. These tend to be much larger and more elaborate, with long balconies, a communal wash room with adorable wood scrub boards and perhaps a fountain and decorative cobblestones. The 2019 Fiesta of the patios will start Monday, May 6 and end on Sunday, May 19. The local tourism board organizes the event each year and typically the town wide contest is held the first two weeks of May with judging and prizes awarded at the end of the month. Zones | Typically different locals enter each year, so you probably won’t see the exact same courtyards that I saw. In general, there are around 6 or 7 main “patio zones” each with a slightly different look and feel. I visited 5 of the zones and over 60 patios and no one patio was the same! Sessions | 2 sessions a day – the afternoon from 11am – 2pm and the evening from 6pm – midnight. If you’re in town from Monday through Friday, you can stop by at any home during either session and photograph, wander and breathe in the beauty to your heart’s content. Some home owners try to regulate the line of people entering to keep their patios from overcrowding. Funny enough, it was my experience that this ended up leading to longer wait times. Tickets | If you are in town on the weekend, there used to be a ticketing system where you sign up on the official tourism website to request tickets. They discontinued this in 2016. While I was in Cordoba, the weekends became extremely crowded, as locals from other Spanish cities come to visit as well so be prepared to wait for a bit! I would also recommend visiting in the morning session. Siesta | If you only have a short time window in Cordoba, there are 3 patios in Cordoba that are open during the siesta: Palacio de Orive (at Plaza de Orive), Zoco Municipal (at C/ Judios) and Rey Heredia (at 22 Espacio cultural). You can visit these three when all the others are closed for afternoon siesta! The town holds a number of performances and events as well, including evening music and dance performances. 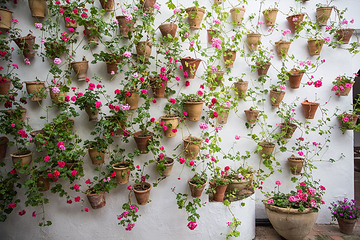 These occur simultaneously with the Cordoba Patio Gardens and are mostly free. You can even see some local flamenco dances! The patios are generally open from Sunday to Thursday from 11am to 2pm and from 6pm to 10pm; and Friday and Saturday from 11am to 2pm and from 6pm to midnight. The festival is open to the public so that tourists can ooh and aah over how beautiful these homes are. 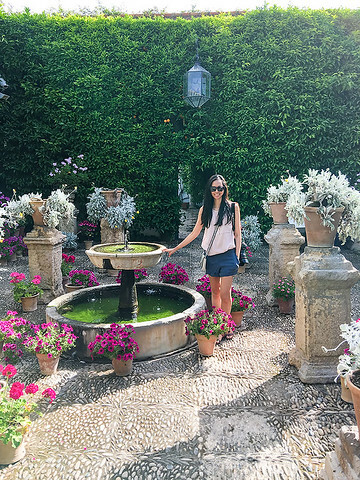 It’s almost as if the event is a scavenger hunt to find the best kept courtyard – and each one I visited was more charming and aromatic than the next. I took so many photos that I’ll let them do the talking! The event goes on for a full two weeks so by the time I left it was still ongoing and I’m not actually sure who “won” the competition but my personal favorite was a family who had a pool in their courtyard. 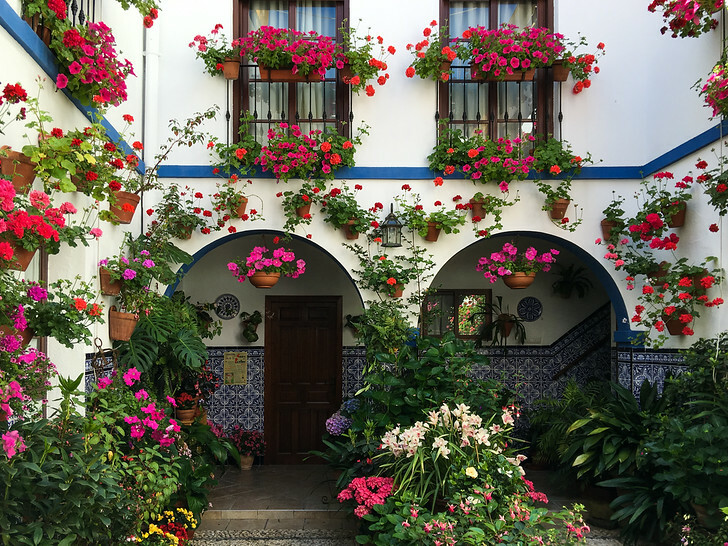 If you can’t make it to see the patios of Cordoba in May, no worries! 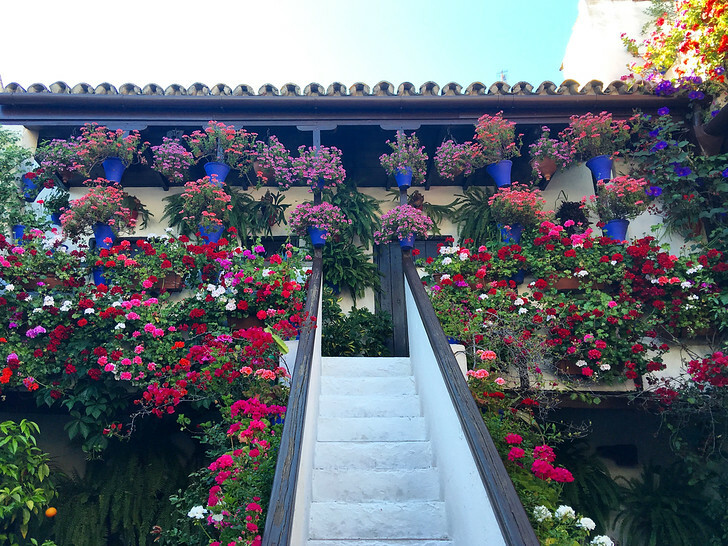 You can still get an idea and view of Cordoba in flower festival mode by heading to the Palacio de Viana museum, which features a beautiful local home with 12 distinct garden patios. To check the Cordoba Patio Festival dates for next year, have a look at the official town site. About two weeks before the flower festival, they’ll release a map of all the participating homes and zones with a handy screenshot of each interior patio. Oh my gosh, it’s fabulous! 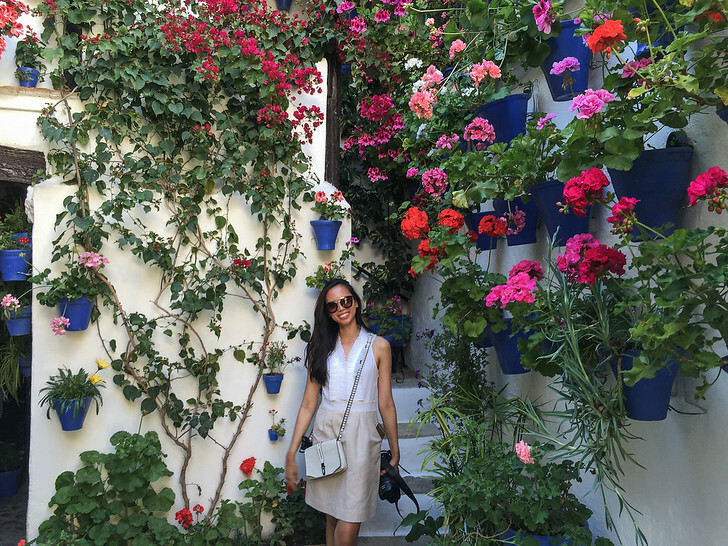 I’ve been to Cordoba but I haven’t heard about this flower festival before! These pictures are stunning!! Is this real? Can’t believe all the detail and care they put into making it so beautiful! 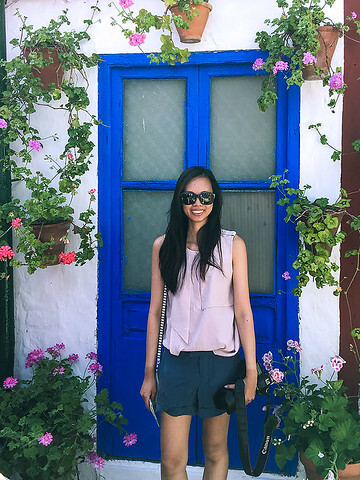 So jealous that you got to go in Spring…seriously each photo was prettier than the last! I know right?! it was crazy gorgeous and i’m so glad i was able to make it just in time to see it! To be honest, this place does not even look real! So ethereal and looks like it’s straight out of a fairytale or something! 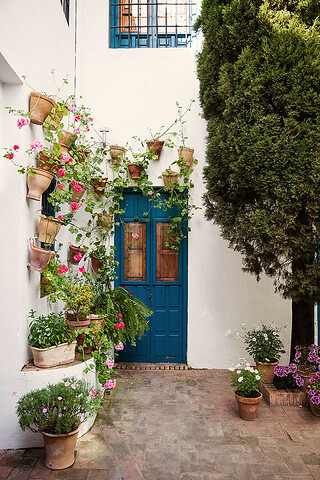 I love these patios, it is so lovely to see vibrant colors and floral designs. Very cool, thanks for sharing. This place is so gorgeous! It’s good that you posted this because I haven’t heard of it before. Stunning pictures, it looks amazing and you look very chic! Loving the colours and the imagery of this part of Spain. What an awesome location. flower patio festival? I have never heard of that before, it looks amazing. This place is seriously so beautiful! oh wow! i will have to check that out, thanks for letting me know Jessica! I actually love the sound of this so much, it’s right up my ally. They are all amazing but I prefer #3 the blue themed ones. Thanks for the info – never would’ve known about this little festival if I hadn’t seen your post! So happy to share it with you all. I’m glad you liked the photos Karla :) the pink was my personal favorite! I AM SO INLOVE WITH YOUR PICS!!!!!!! The place looks straight out of a fairytale! Thanks Kyna!! YES it was so pretty I went snap crazy ha! Looks like a very interesting festival. Lots of great coutryards there! I’ll be visiting May 2017 for the patio festival. I’m wondering if it the better to go during the week since it is less crowded. Or are there special events on the weekend that would make it more fun? How many days do you recommend? This is the best post I have seen describing the event. Hi Deanna, glad you liked the post! I DEFINITELY recommend the weekdays. On weekends local Spaniards will head down to see it so it gets incredibly crowded. I believe May 1-2 are a holiday in Spain so if possible avoid those dates. Also I have heard that as the festival goes on it gets more crowded so for example, early May is better than late May. Nothing special goes on the weekend but there are “secret parties”. Locals will throw their own celebrations and generally its invite only, or friends of friends. I sadly havent been to one of those but I heard thats amazing for a truly local experience! Have a great time! Your pictures are beautiful!! I am planning a trip in May in Adalucia, but most likely I will be in Cordoba 5/15 & 16, which just missed the Patio Festival. Do you by any chance know do I still have access to some backyards and patios after the festival is over? Again, great posting!! I am happy I found it. Thanks Yi! Yes there is a patio museum if you won’t be in town during the festival dates. 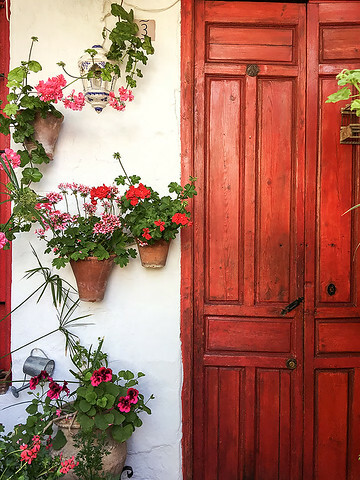 I have more details in my Cordoba and Spain posts along with photos, if that’s helpful. Hi Sher, I want to join equinox Greenwich Avenue, but to get a corporate discount I think you have to join all of the gyms. I was a member there for about 5 years many yers ago but want to get a corporate membership again and as cheaply as possile since I’m not employed. Can you tell me which companies have corporate rates (I’m a freelance writer so I maight have a choice). Also can you give me a referral to the Greenwich Avenue location? These all look so beautiful. I can’t believe there’s so many in bloom during the winter! Hi Sher, Stunning photos. 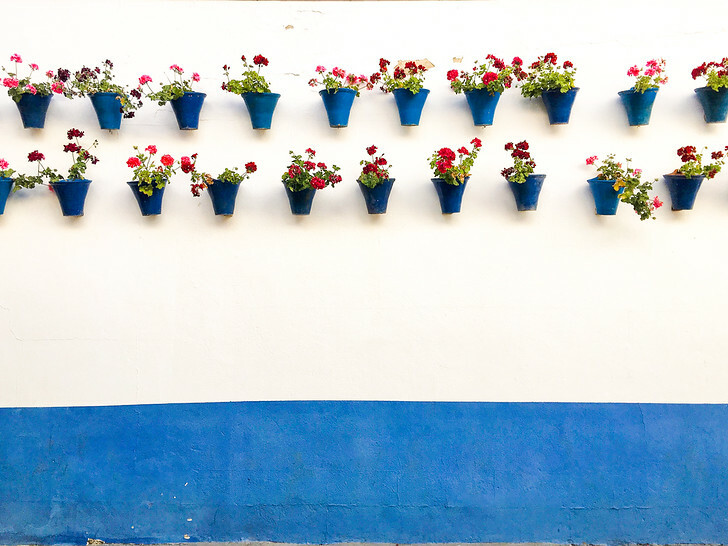 We just got back from Cordoba (too early for this years festival) but the patios were already looking stunning. We were so inspired we wrote our own post as well. Keep up the great work.